New Haven can now claim a Michelin-starred chef among its culinary denizens. 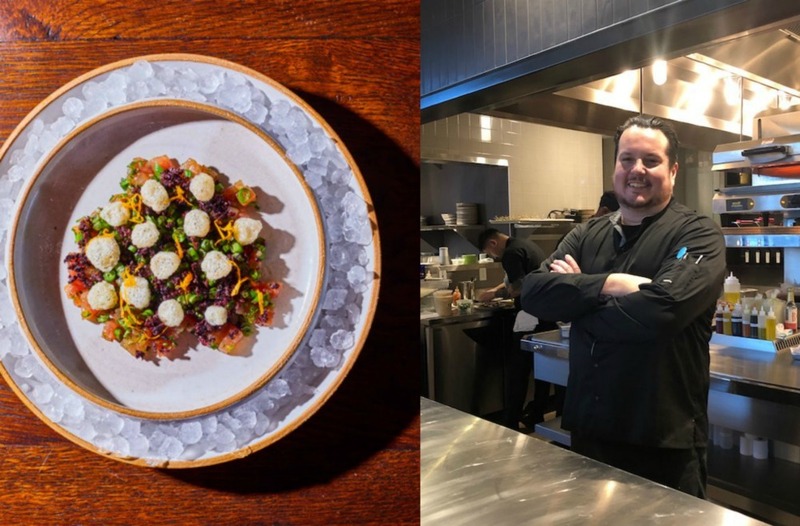 New Zealand native and Chef Matt Lambert, along with Barbara Lambert and Jennifer Vitagliano, are the team behind Hamilton Park, the city’s newest restaurant. A self-described “neo bistro” with a seafood emphasis, the menu also features house-made pastas, house-cured charcuterie, and a memorable cocktail program by Eben Freeman (formerly of wd~50)..
Hamilton Park takes its inspiration from its New Haven home and Ivy League neighbor. Named after New Haven’s historical sporting grounds, the restaurant is located within the new boutique Blake Hotel, whose own name was inspired by Yale's first female grad, Alice Rufie Jordan Blake who received a bachelor of laws in 1886. The restaurant is currently open for dinner, with breakfast and lunch beginning soon. Hamilton Park is located within the Blake Hotel at 9 High Street in New Haven, CT. For the latest hours, visit Hamilton Park’s website.